I wasn't there to see the training first hand, but thanks to MSP almost 300 girls at Mpasa Community Day Secondary School now have their own set of washable sanitary pads, and the skills to make more. Girls typically stay away from school when they're menstruating. A remarkable Malawi lady, Enelless Pemba, has designed a set of comfortable, reusable pads, and has established her own business, training girls to make them for themselves. MSP funded 2 days of training, and all the materials, for the CDSS girls. There are a couple of photos below, and a full set of photos from the MSP CDSS training project here. If you'd like help us in our work of supporting education for the children in Malawi you can do this in a number of ways: donate money, attend our events, buy from our selection of Malawi- made handicrafts, buy and sell raffle tickets, provide goods for raffles. Please email me for details. 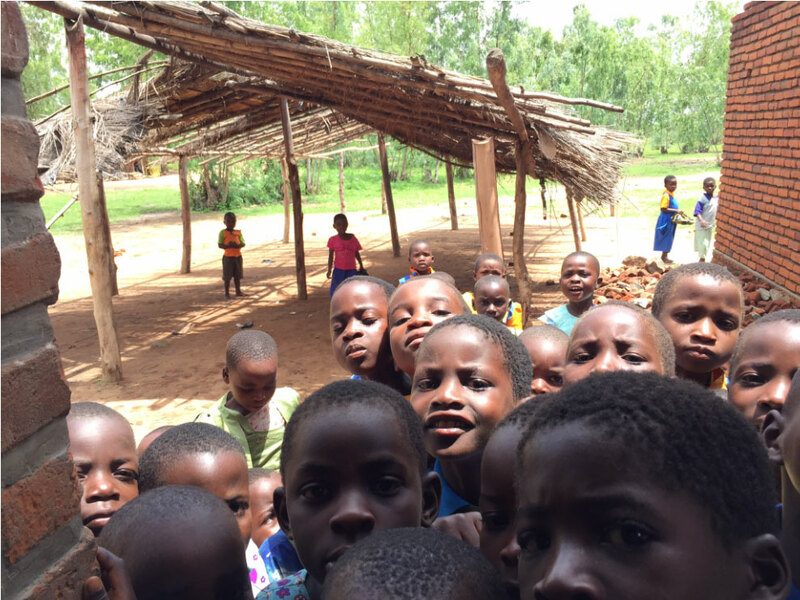 The Malawi Schools Project raises funds for children in one of the poorest parts of Malawi, to help them access education. We run charity events, draws and raffles, and give illustrated talks, largely in West Sussex. See Fundraising-and-events. We sell Malawi handicrafts bought direct from the makers: see Handicrafts. If you'd like to know more, see About or email me at themalawischoolsproject@gmail.com. To receive email alerts and follow our progress add your email address to the "Follow by Email" box below.